It’s not just the UK that is suffering from declining loans to small businesses. It’s all about how you break down the numbers. If you look at them from when Lehman Brothers went under in June of 2008 to cause the credit markets to seize up, the decline in small and medium enterprise (SME) loans has only declined about 12% in the U.S. However, if you look how far these loans have decline since peaking in 2007, they are off 78% according to the U.S. Federal Reserve’s regional office in Cleveland (accounting for inflation). It costs considerably more in interest but alternative lending sources have been picking up some of the SME lending needs. One main source is cash advances against future credit card sales. According to Business Financial Services CEO Marc Glazer, the need for alternative lending has exploded from £3.1bn before the financial crisis to more than £30bn today. Not that the entire need is being met through alternative financing. But it is out there. Cash Advances are often for small loans ranging from £3,000 to £20,000 with the bulk being less than £10,000. Banks typically don’t make loans for less than £10,000. The result is the banks really aren’t interested in the smaller loans that most small businesses are seeking. Alternative lenders are much more creative about financing small businesses than banks ever dreamed of being. For instance, New York-based startup Zazma transfers money directly to the account of the business’s suppliers. That business model assures that the money is spent as it was suppose to be. The result is the borrowing business has more cash flow and is in a better financial position to repay the loan. Capital Access Network has a different business model. It deposits loaned money directly into PayPal accounts to gain an advantage with more than a 100 million online businesses. They say they do this to keep up with developing business needs and trends. It also puts the money into the account much faster than a bank will. One thing that alternative financing is about is speed. What is beginning to concern some of the savvy banks is that it if they continue refusing loans to depositing customers, those customers may look else where to deposit their money. The fact is, consumer deposits are a very small part of every bank’s total deposits. They are much more dependant on business deposits than small household accounts. That’s exactly why banks are making loans to big companies. Without their deposits, the banks would go out of business. As more and more SMEs turn to alternative financing, they’ll also become more disgusted with a banking relationship where they constantly deposit money but can’t get a loan when they need it. They will begin looking for alternative places to deposit their money. 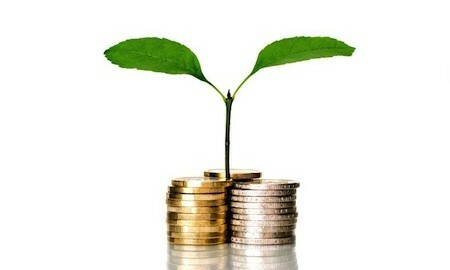 If they develop long-term relationships with private lenders, businesses may look for ways to deposit money with them. Or it might be with another bank that figures out they can increase SME deposits by making more loans and attracting customers from other banks that don’t figure it out in time.